Zane Compton and Emrey Ellingsworth stand with Crane Pre-Kindergarten students during the FFA Food for America event on Friday, October 12. 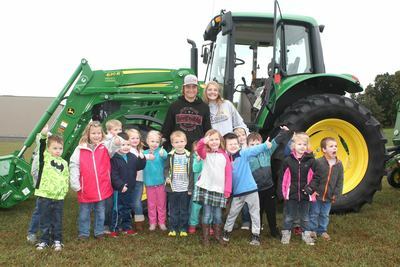 Justine Scroggins speaks with Pre-K students at the FFA Food For America event on Friday, October 12. FFA students brought their own animals to teach others about where their food really comes from.